Presidential Conspiracy. 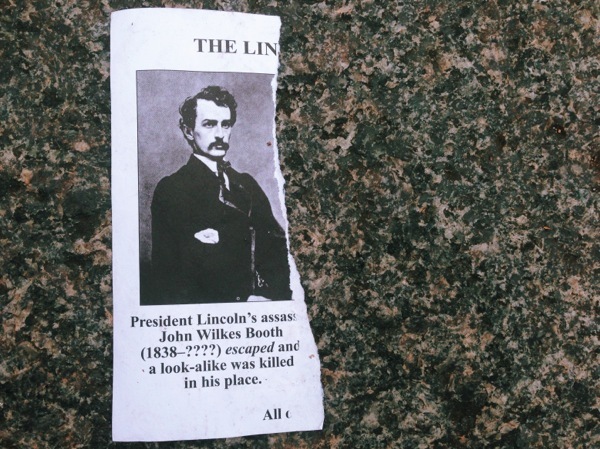 Found in front of the U.S. Treasury Department. Washington D.C.
Posted in Found Object and tagged with . December 2, 2013 by Steve Ellington.